As a natural barefoot trimmer, I believe in following the wild horse as a model to allow nature's balance in the hoof for our domesticated horses. I evaluate each horse as an individual and trim to follow their own internal structures and needs. 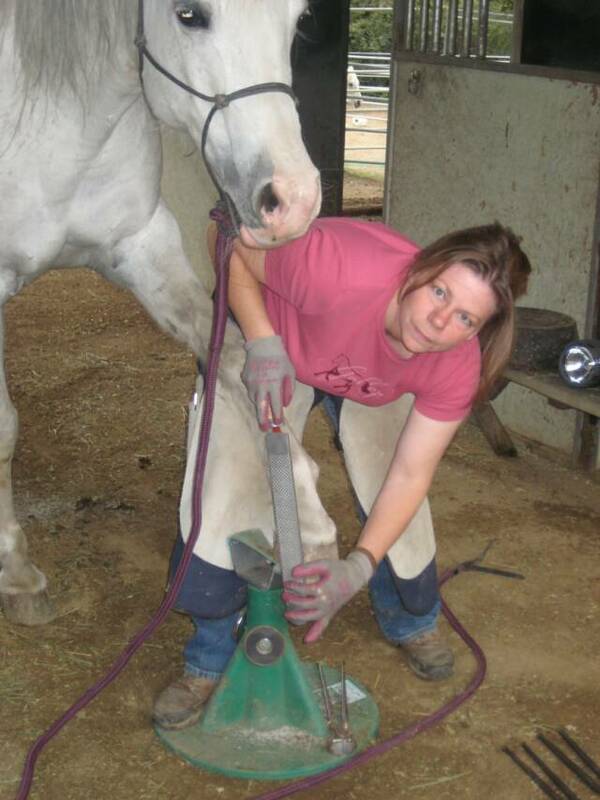 Following the methodology of Pete Ramey's non-invasive techniques, I encourage our horses feet to attain levels of health that we are unable to find with shoes or in more aggressive forms of trimming. I have studied the internal structures within the hoof and trim following those structures to set up the proper mechanics needed to grow a strong and healthy hoof. I believe all horses can be successful barefoot, but that we cannot hesitate to provide the necessary protection when needed in hoof boots and pads. I believe it is our job as guardians of the horse to provide them with the necessary tools to live as close to natural as we can and attain the most healthy feet possible. Balanced nutrition is also a key factor in the health of the hoof. I am passionate about horses and specialize in taking the time necessary to allow the horse to learn to trust in me and my techniques. Using natural training methods, I try to connect with each horse to form a partnership which will allow them to enjoy their "pedicures"! The horse comes first! 19. to arrange, adjust, or proportion the parts of symmetrically. 25. Dance. to move in rhythm to and from: to balance one's partner.